Florida's governor and his cabinet have unanimously approved Progress Energy's Site Certification Application (SCA) for its proposed nuclear power plant in Levy County. The SCA includes a detailed analysis of the potential environmental impacts of the proposed plant and related transmission lines. Progress submitted the SCA with the Florida Department of Environmental Protection in June 2008. After review and a series of public hearings, an administrative judge supported approval in spring 2009. Charlie Crist, the state governor, commented: "Today's decision proves that Florida is on the right path toward achieving energy diversity and independence." He added, "I applaud Progress Energy Florida for its commitment to producing alternative energy options, creating jobs and protecting our environment for future generations." 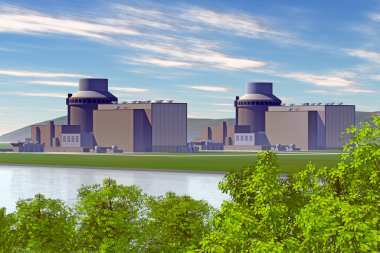 The approval of the Levy plant by Florida's governor and cabinet includes a requirement that Progress shuts down its two oldest coal-fired generating units at its Crystal River site by the end of 2020, assuming the timely licensing and construction of the Levy nuclear power plant. Progress Energy Florida's president and CEO, Vincent Dolan, said, "This is an important milestone for the proposed plant. Carbon-free nuclear power is a strategic asset in our statewide effort to become energy-independent, to reduce our reliance on more volatile-priced fossil fuels, and to provide a balanced approach to meet the challenges of growth and climate change." Site certification is the second of three major approvals needed before Progress can start constructing the Levy plant. The Florida Public Service Commission approved the "needs case" for the plant in July 2008. The remaining major decision - the issuance of a combined construction and operating licence (COL) by the Nuclear Regulatory Commission (NRC) - is expected by early 2012. Progress submitted an COL application to the NRC for the Levy plant in August 2008. In May, Progress announced a schedule change for its project to build two Westinghouse AP1000 nuclear units at Levy. Commercial operation of the two 1105 MWe reactors was pushed back from the 2018-2016 timeframe by "a minimum of 20 months." Progress said that it is continuing to pursue the project and added that a new timeline depends on negotiations currently under way with Westinghouse and its partner Shaw, which were contracted for engineering, procurement and construction of the two new reactors in January.